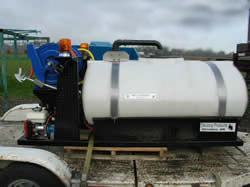 Roadside spray/de-ice trucks are an ideal solution for the smaller governmental unit in addressing both de-icing in winter or vegetative growth control of roadside areas. For use in pick-up, flat bed, or a 5-yard dump truck. Year around use for herbicide or de-icing solution. Available in a size to fit your needs. Wide choice of nozzle sizes for different jobs. Power sources tailored to fit YOUR application. The versatility designed into these machines assures YOU many years of trouble free service. Pull-behind harvest carts receives nuts from harvester. Hydraulically driven belt unit efficiently moves nuts to harvest totes. Auger system at top of bin automatically levels load and fills cart completely. Advanced design assures your harvest in wet, muddy conditions when belts used by other units have plugged and stopped. Robust construction assures you of years of service. 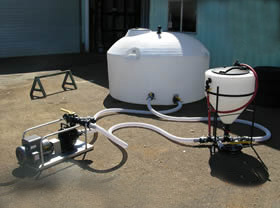 15 gallon to 500 gallon units, built to your specifications. DPI manufactures a variety of sprayers, from as simple as slip-in sprayers built to be used in conjunction with your ATV, to field sprayers to pull behind planters or to actually apply spray where and when you want it. 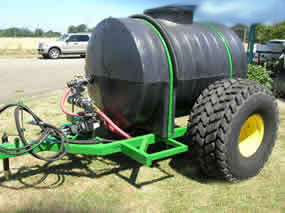 A poly tank, size and configuration to fit your application. Available with the pump and control system to do your job quickly and efficiently. Custom designed to meet your individual needs. 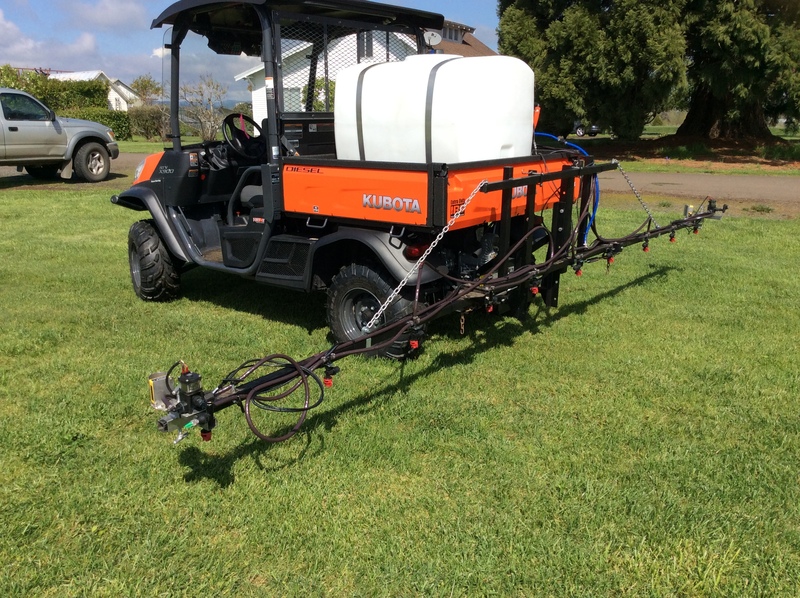 Used by home owners to golf course maintenance personnel, nut growers to grass seed production personnel. 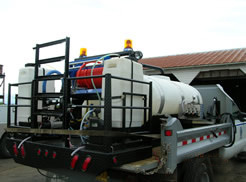 DPI can address your needs and find a solution to your spray and spreading application needs. Filter bed refurbisher carefully shaves layers of schmutz off filtering ponds. Municipalities able to use the slow sand filtering process to treat its drinking water before delivery to city customers will appreciate DPI's slow sand filter machine. Self-propelled. Uses diesel engine as power source. 8-ft cutting platform shaves thin layer of sand from the filter bed and places it in truck for refurbishing. Available with cab or covered operator platform. 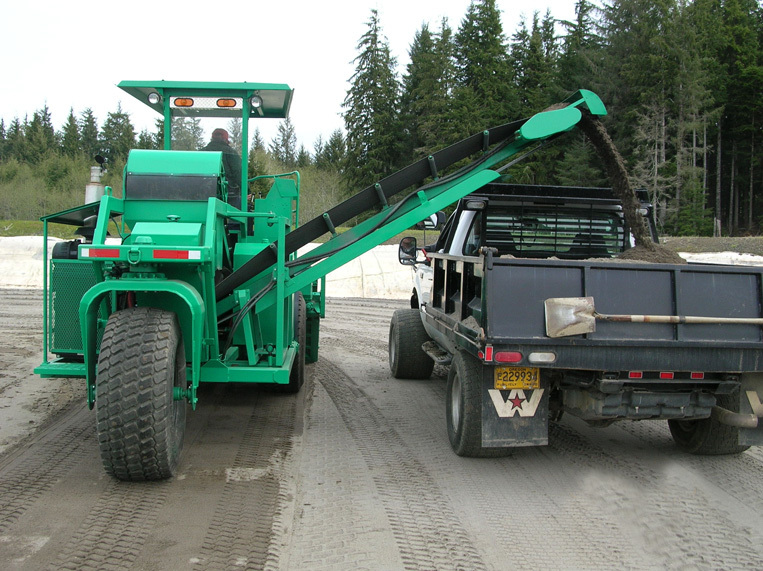 Dual system of center and discharge conveyors easily moves sand to waiting truck. Heavy duty construction, built to last. Tank mixing systems easily incorporate powdered dry flowable products into your system. Applicators rely on induction tank mixers to pre-mix their chemicals before application. By using the DPI induction system operators can assure a precise mix of chemicals to effectively mix and put material into suspension. Available in 15 or 35 gallon sizes. Cone bottom tank assists in thorough mixing of materials. Quality BANJO™ plumbing provides trouble-free operation. Internal mix system assures thorough incorporation of materials. Handy rinse nozzle aids in cleanup when application is finished. Internal rinse aid makes it easy to clean out chemical containers without spilling.